Trillium specializes in dry pump service, and we have made unparalleled investments to provide the absolute highest levels of service and support for your Edwards, Ebara and Alcatel based pumping systems. Complete disassembly, thorough cleaning, and a rigorous inspection process to identify any worn components or parts. Expert assembly by fully trained technicians, done safely with ergonomically designed work stations, and the appropriate material handling equipment. 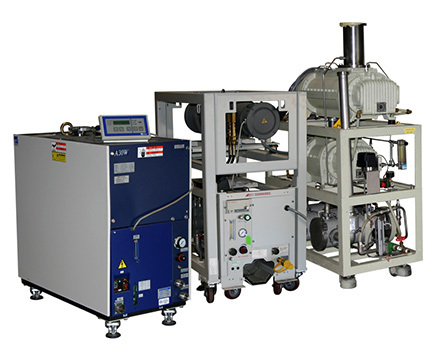 Comprehensive testing to verify base pressure, pumping speed, motor current, pump temperature, and a number of other key performance criteria. Copy of final test report provided. The difference between a Trillium dry pump repair and our competitors is in the attention we pay to many of the subassemblies on board. Claw recoating: All Teflon coated parts are stripped and recoated on every rebuild. This work is performed in house, which allows us to tightly control the process and offer the lowest cost. Motor Rebuilding: Motors are rebuilt with new bearings, and undergo extensive testing to ensure electrical safety and adequate water cooling. N2 Purge System: Gas modules are helium leak checked, and all digital flow readings are verified against calibrated analog gauges. Electrics and Sensor Modules: Independent testing of each module prior to installation on the pump ensure proper operation. Trillium maintains board level repair capability, and we can fix nearly any problem with these subsystems. Water Cooling Systems: Thermal Control Valves and other cooling system components are descaled, rebuilt and fully pressure tested hydrostatically. 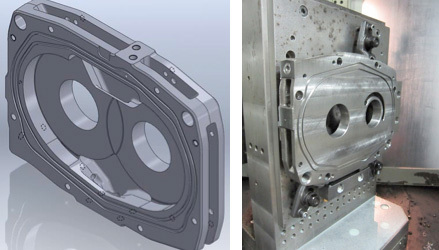 Our in-house parts manufacturing center features state-of-the-art CNC machining equipment and is fully equipped with SolidWorks and CAD/CAM, as well as a detailed quality control system. 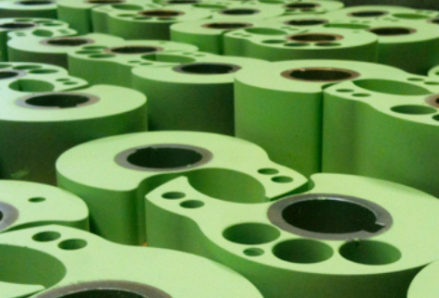 We manufacture components and parts for our own line of Univac pumps, in addition to those utilized within competitive dry pump models – including Edwards, Ebara and Alcatel pumping systems. 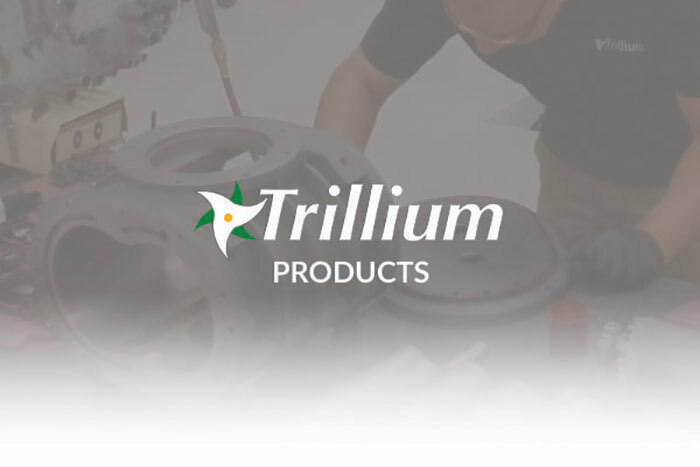 This capability allows Trillium to better control its costs and supply chain – ensuring we can deliver true value to our customers with each repair. 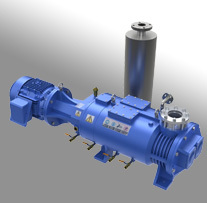 Trillium repairs dry pumps, including Edwards, Ebara and Alcatel from 3 US service centers – no other 3rd party repair company offers this level of support.